I'm amazed by the fresh spin William Anderson brings to so many books about Laura Ingalls Wilder. Just as Laura did before him, Mr. Anderson repeatedly captivates audiences, teaching them about their beloved author. Laura's Album: A Remembrance Scrapbook of Laura Ingalls Wilder provides fans, both young and old, with photographs, writings, and additional memorabilia from Laura's life. 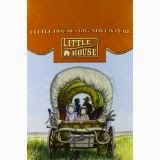 Mr. Anderson tells Laura's story before and beyond the Little House years. Laura's Album tells of her life through Mr. Anderson's writing. Photographs, letters, and mementos provide another dimension, giving the reader an exceptional look into Laura's life. My personal favorite mementos in Laura's Album are images that I do not recall seeing before. Among them are Laura's first calling card (read about in Little Town on the Prairie), a letter Mary wrote in 1904 to Minnie Green using a grooved slate, and a brochure from Harper and Brothers (Now Harper Collins) which shows the original book covers, illustrated by Helen Sewell, in addition to book summaries. 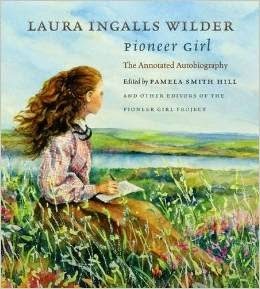 For those who enjoy looking at the photographs and illustrations in Pioneer Girl: The Annotated Autobiography by Laura Ingalls Wilder (linked to my review) as much as reading the autobiography, this is for you. Pioneer Girl may not be appropriate for young children, but Laura's Album is for fans of any age. Since many of the images overlap in standard scrapbook style, not everything can be read. 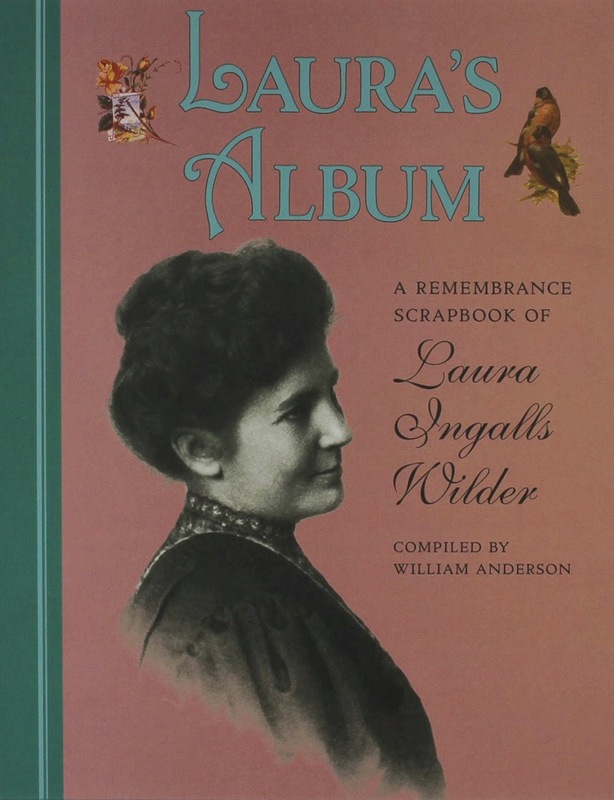 However, I still enjoyed and highly recommend Laura's Album: A Remembrance Scrapbook of Laura Ingalls Wilder. Mr. Anderson has been the authority on Laura Ingalls Wilder for years though he writes about various topics. Visit the William Anderson website to learn more about him.